Great, Fully-Downloadable, Community Group Studies at your Fingertips! Whether you are looking for a study around a book of the Bible, a situational study (e.g. Marriage, parenting, etc.) or want a topical study, Crossline’s got you covered! Below is a list of different studies available to you right now! This list will be ever-updating to make sure that your community group studies are always fresh and engaging! If you have any questions, don’t hesitate to contact [email protected]! Enjoy! Paul’s epistle to the Romans is an absolutely incredible chunk of Scripture! It is FILLED with powerful truth, foundational theology, and memorizing-worthy verses! It will no doubt stir up some pretty great conversations within your groups as we wrestle through the passages and could quite possibly lead some to discover the full truth of salvation for the first time. This is a great study for any group for two primary reasons. 1) Though a good chunk of your group may have attended church for many years (if not all their lives), most of them deeply struggle with communicating what being a follower of Jesus means to others because they themselves don’t really know. 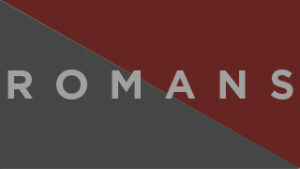 Romans provides a great foundational understanding. 2) The amount of guilt and shame many individuals feel is tragic to see and we want to enforce the truth that grace reigns through righteousness to bring eternal life through Jesus Christ our Lord. (Rom. 5:21) There is now no condemnation for those who are in Christ Jesus. 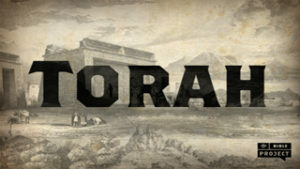 The Torah, also called the Pentateuch, is the name given to the first five books of the Bible. While in many ways the Torah represents a beautiful story of God’s creation and the beginning of His plan to save mankind, the story these books tell isn’t always a bright one as far as humanity and the choices they make are concerned. A curriculum from Crossline’s own Matthew Svajda, founder of Fiducia! Go check out the amazing work Fiducia is doing at www.fiduciacommunity.com! You can also purchase hard copies of this curriculum from that site! God is doing a new work in his church and inviting us to join him in his Kingdom adventure. Living a life on mission begins when we leave our doorsteps daily. 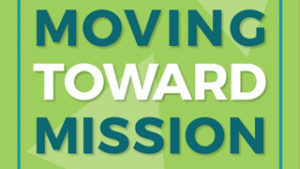 Moving Toward Mission is a great small group study tool that can help any community group begin taking steps toward living life intentionally with those far from God. This study and the experiences that are a part of it will guide your group on a pathway “From Life Group to Life on Mission” and will move you into the next phase of your spiritual journey. Whether you’ve been meeting for 10 days or 10 years, the experiences will give you practical training and equipping while the Bible study will reshape your views on relational discipleship and evangelism. Get ready to rethink mission where you live, work, and play! 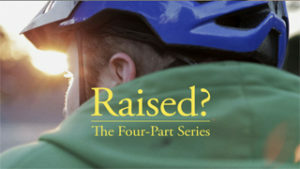 Raised? is a powerful video-based study from Moving Works! Check out more of their videos and studies at www.movingworks.org! When Benjamin and Jessica found themselves doubting God’s existence and everything about Jesus, they were sent spiraling into a cycle of destructive behavior in their attempts to fill a deep emptiness. Despite rebellion and resistance, God’s unfailing pursuit of them draws them back to a remarkable redemption of faith and leads them to the truly abundant life. This study is extremely engaging and emotional at times (may you be warned, tears may flow). It is a great study for groups seeking to go to a deeper level or those groups that have members who wrestle with doubt of God’s presence. Most people have not learned Scriptural truths about money at home, church, or in school. Others have, but have yet to apply them. 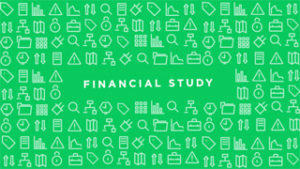 As a result, many of us live by the world’s perspective on finances instead of God’s. God has called us to live a life built on an eternal perspective. When we apply this to our income and possessions, then we can truly be free from the pull of the culture and materialism. He has called us to be transformed in our hearts, minds, and lives. Scripture provides principles we need for wise and faithful money management. Throughout the gospels, Jesus interacts with, meets, speaks with, heals, and changes the lives of many people. Some of those people are named, and some of those people are more or less nameless. Sometimes we aren’t given the name of certain individuals, but the trajectory of their lives was indeed changed forever as a result of their interactions with Jesus. 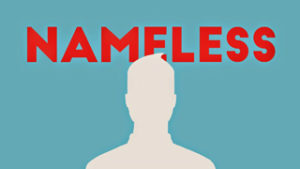 This four-week study explores four stories of people who aren’t named in Scripture, but who are powerfully changed. These stories remind us that even if you feel that you are unimportant, the truth is that Jesus’ mighty work in your life makes your story wildly significant.